Notably smooth, with hints of vanilla, honey, and spice. Finishes crisp and clean, with long, lingering flavors. Bulleit Bourbon is distilled and aged in the Bulleit family tradition. High rye content gives it a bold, spicy character with a distinctively smooth, clean finish. Kentucky limestone-filtered water provides a foundation for the bourbon's character, while charred American oak barrels lend a smoky backbone. Our aging philosophy is simple: we wait until our bourbon is ready. 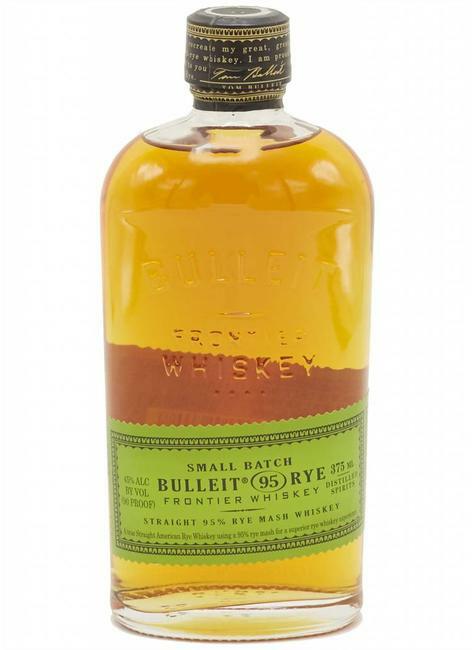 As Bulleit enthusiasts know, rye has always been our cornerstone. In this tradition, we're proud to present Bulleit Rye – a straight rye whiskey made from 95% rye and 5% malted barley. It's a whiskey with unparalleled spice and complexity.